The Supreme Court ruled earlier this year that businesses can require workers to sign mandatory arbitration agreements. A couple of cases against real estate firm CBRE will test the limits of a recent Supreme Court decision that gave businesses the green light to require workers to sign mandatory arbitration pacts. Steve Thoma sued CBRE Group Inc., the world’s largest commercial real estate firm, in federal court in March 2017 for unpaid wages. Thoma also filed a complaint with the five-member, GOP-controlled National Labor Relations Board alleging the company’s mandatory arbitration policy violated federal labor law. 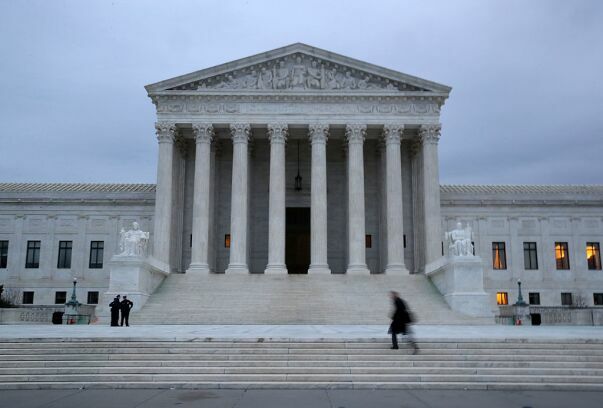 The Supreme Court in May said arbitration agreements are generally permissible. The CBRE case and similar challenges will explore if and when mandatory arbitration clauses unlawfully bump up against against workers’ rights to organize under the National Labor Relations Act. Thoma’s lawyers say CBRE’s arbitration pact wrongly implies that workers can’t file complaints with the NLRB. The case offers a potential path to challenge forced arbitration at other agencies like the Equal Employment Opportunity Commission and the Occupational Safety and Health Administration. “This is definitely an interesting bellwether for how this board’s going to deal with these issues,” Peter Finch, a management attorney at Davis Wright Tremaine who worked at the NLRB for almost 15 years, told Bloomberg Law. Decisions in these cases may also help businesses by giving them a better idea about how to stay on the right side of the law in crafting arbitration agreements. “It’s interesting to see there’s still an effort to carve out some way to push back on arbitration provisions, but I don’t think it’s going to protect workers all that much,” Alexis Ronickher told Bloomberg Law. Ronickher is an attorney at Katz Marshall and Banks who focuses on workplace sexual harassment issues. The high court earlier this year said businesses can compel workers to sign mandatory arbitration pacts, which require them to resolve all legal disputes before private arbitrators instead of state or federal judges. Those agreements are now “ubiquitous” in employment contracts, the NLRB noted in a recent decision. Worker advocates have blamed forced arbitration and nondisclosure agreements for allowing harassers to stay on the job. Businesses say the private disputes are more efficient and cost-effective than drawn-out court battles. “What happens is that some of these men are bringing in so much business—it’s cheaper to keep them and pay a settlement than it is to bring in a newbie and hope they become a rainmaker,” Jennifer A. Drobac, a sexual harassment law professor at Indiana University, told Bloomberg Environment. CBRE employs 80,000 workers in more than 100 countries and had second-quarter revenues of $5.1 billion, according to Bloomberg data. “Companies tend to win more often with mandatory arbitration, and if an employee wins, the damages are typically lower,” Alexander Colvin, an associate dean and labor relations professor at Cornell University’s School of Industrial and Labor Relations, told Bloomberg Law. Colvin’s recent research centers on outcomes in mandatory arbitration. Easy Fix for Iffy Clauses? The NLRB—drawing from the Supreme Court’s opinion—dismissed Thoma’s argument that it’s unlawful generally to have the clause on the books. The board has yet to decide whether CBRE violated the National Labor Relations Act by misleading workers into believing they’re not permitted to file certain workplace claims. “It’s a question of language,” Finch said. The issue is whether “a neutral reading of the words themselves lend itself to an interpretation that’s unlawful,” he said. “The concern with the board is whether it’s not clear to individuals that they can still file cases with the NLRB,” Ronickher said. That same question could extend to the EEOC, which investigates discrimination and harassment complaints, and OSHA workplace safety probes. The board’s decisions may give businesses like CBRE an easy workaround if the board decides their existing clause is unlawful because it’s misleading. An employer could simply add a catch-all provision that “nothing in this agreement should be construed as preventing you from filing a” claim with the NLRB or some other agency, for example, Ronickher said. The board has already dismissed at least two challenges to clauses with similar language. Ronickher says that illustrates companies’ continuing advantage. A class action like the one CBRE settled some years back “wouldn’t be something you could pursue” in federal or state court under CBRE’s new contracts, given the Supreme Court’s recent ruling, Ronickher said. “There’s a reason why plaintiff-side attorneys fight tooth and nail to get into court,” she added. “On the other hand, if someone’s voluntarily entering into an agreement then why shouldn’t it be given full weight?” Finch countered. Some companies have voluntarily eliminated mandatory arbitration clauses, largely in response to the global #MeToo movement. Lawmakers in states across the country have also called for a ban on forced arbitration in sexual harassment cases. “What I think we’re going to see going forward, and in light of #MeToo, is more and more employers will ramp up efforts for training, they’re going to reexamine pay practices to ensure each employee is fairly compensated, and I would not be surprised if most employers engage in a more robust program to educate—kind of a ‘see something say something program,” Finch said. Ronickher suggested the voluntary elimination move for CBRE. “They should do what Microsoft did—not bind people to the mandatory arbitration provision in sexual harassment cases—particularly given their history,” she said.